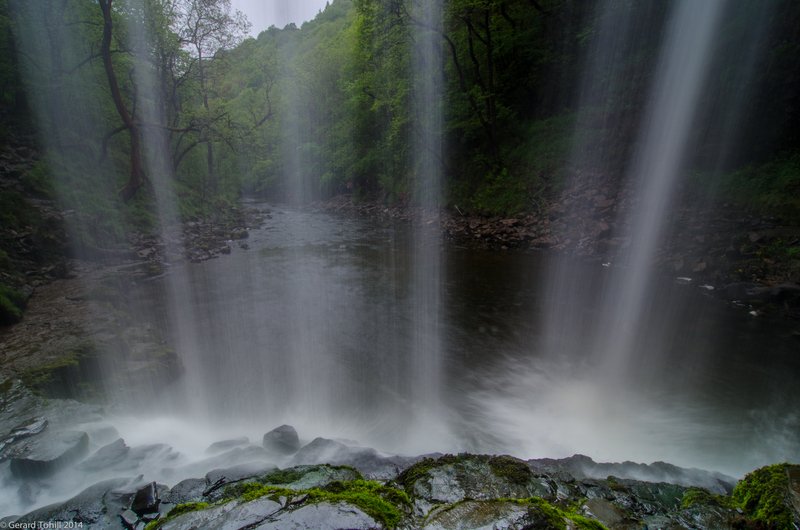 The Sgwd Yr Eira waterfall is a photographers dream. Not only can you take images from all the usual angles, but you can set up your camera behind the water and shoot out. It was impossible to resist. I spent the day photographying mostly waterfalls on the Afon Mellte in South Wales – there are quite a few very good falls withing reasonable walking distance, and the place is justifiably a favourite of photographers. I’m afraid there’ll be more waterfall images to follow. The day was dull and overcast, the perfect type of day for doing this type of shooting. Photography stuff: 12-24mm lens at 12mm, polariser, 3 seconds at f/22, tripod. Thank you Laura – like other photographers I’m just drawn to water. You’re welcome! I’m drawn too. Thank you very much – and there’s more to follow.